Microsoft has been busy today with one of the announcements coming out of the software company being aimed squarely at the enterprise while still being rather interesting to those of us that will probably never actually get to play with one. 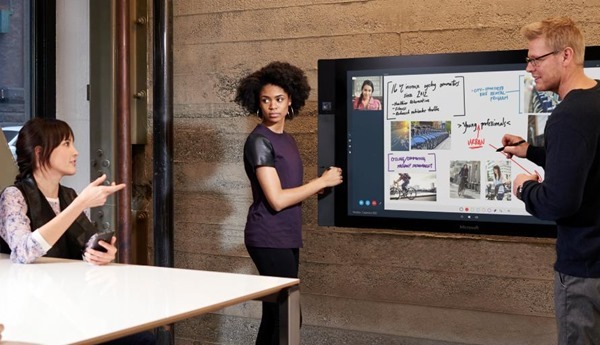 The Microsoft Surface Hub is effectively a huge Surface with touch capabilities and handwriting recognition. It’s how we all imagine meetings to be run in 2015 back when we were in the year 2000. Currently with no release date other than ‘later this year’ and with Microsoft keeping very quiet about how much it will cost, the Surface Hub comes in two sizes – the smallest of which is a 4K 55-inch monster with its larger brother being a wall-bending 84-inch behemoth. That’s the one we want, if only because we’ve never played Solitaire on something so large. Beyond a rather snazzy announcement video and some well-written PR though, we don’t know too much about the device. It’ll use Windows 10 and will apparently run universal Windows apps natively while also having its own Surface Hub-specific apps to go alongside them. 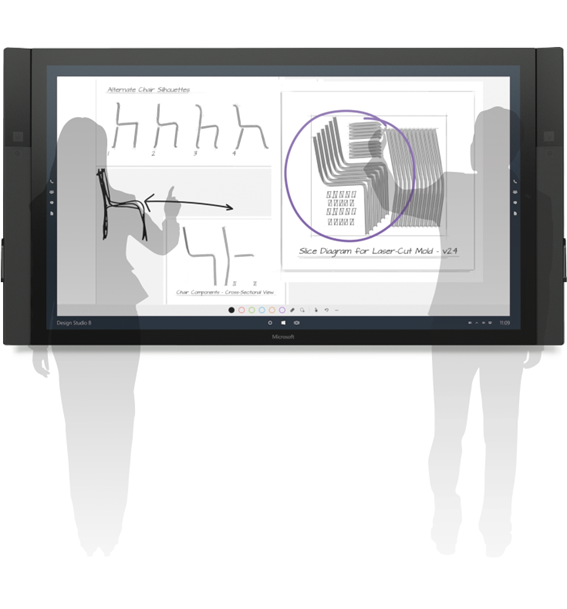 Software-wise, the Ink handwriting software and the ability to draw on anything you see should make the large screens into the perfect meeting accessories, especially if you like to scribble all over graphs in bright red ink. 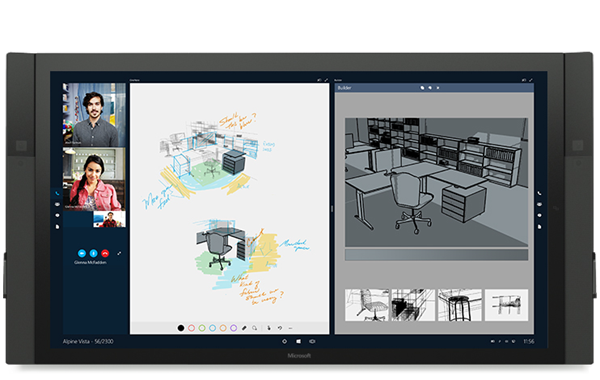 The whole thing is built to be as collaborative as possible and will tie in with Microsoft’s existing Office strategy – it’s shipped with the device as standard – as well as having hooks into Windows Phone for taking meetings mobile. The hardware, beyond being huge, will activate when you walk up to it and has a host of I/Os which include wireless projection, HDMI, NFC, Bluetooth and what Microsoft is calling ‘ports to connect to peripheral devices.’ We’re going to assume that’s some flavor of USB, then. Clearly not the kind of thing you’re going to have in your home, the Surface Hub will be the kind of thing few of us see, let alone use. That doesn’t stop it from being very cool indeed, if only because it makes us think that we might finally be living in that future we all expected. And it proves that Microsoft might actually be starting to get somewhere following its years of neglect. “Groupthink” …….. just what the world needs more of ….. not ….. and big or small screen, its still Microsoft ……. the thief of milliions …. Better be comparable in price or it’ll fall off of that wall. Under $3000 depending on the configurable specs I hope with max specs carrying it into the $5000 range… At least that’s the most I’ll pay for it. We need a Microsoft all in one. I love the Surface but need a power computer for my home. Seriously dude, go play somewhere else.